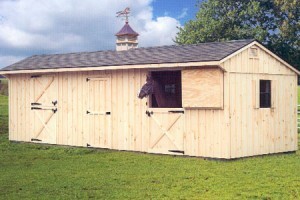 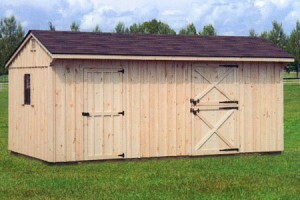 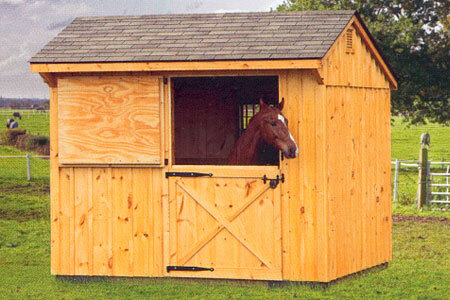 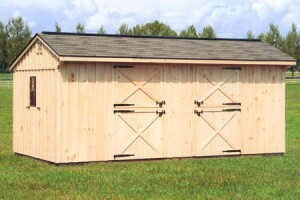 We are proud to offer a variety of shed Horse Barns in a variety of styles and colors. 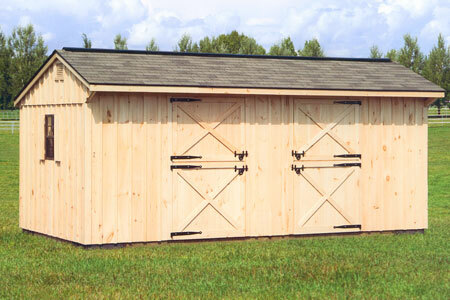 Our standard Run-In Sheds feature 4' high oak kickboard, Oak Post, Beam Style Framing, and White Pine Board & Batten Siding. 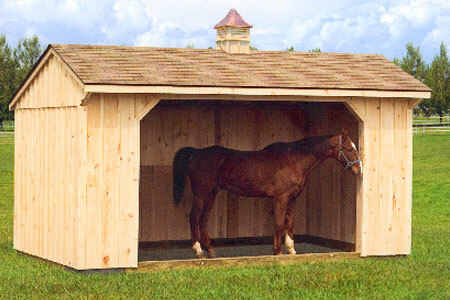 You can also add several options to add some stylish feature to you own Horse Barn.